2.5 ton Ruud UAPL-JEZ a/c: $1,379; Installation, $1,000; Total: $2,379. Up to 14 SEER, an Energy Star product. Single stage scroll compressor for efficient and quiet performance. The Copeland compressor is widely regarded as the best compressor in the industry. Pressure switches protect the compressor from operating until the internal conditions are right. When coupled with a Prestige Series air handler, this A/C offers enhanced humidity control. Control board and diagnostics alerts you to potential problems and service issues. Unique motor mount helps prevent damage to the fan motor. Base pad keeps the condenser off the pan to reduce corrosion and vibration. Heavy-gauge galvanized cabinet is strong and corrosion-resistant. 5-year limited unit replacement warranty. The last thing you want to happen is to have your warranty voided due to improper installation by someone who is not a trained, qualified contractor. This happens frequently, unfortunately, but it doesn’t have to happen to you. The Ruud 5-year unit replacement warranty is one of the best in the business so you’ll want to keep it in force by having a professional do the work of installing it. Plus, your air conditioner will run more efficiently and be less prone to breaking down. 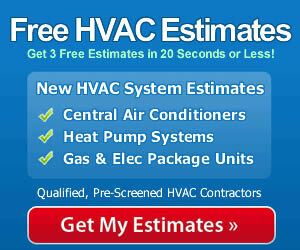 Hire a pro and get the best performance and greatest longevity out of your Ruud UAPL-JEZ central air conditioner.